Kayaks rippling through the inky water, silvery moonlight spilling over the land, and a glittery night sky that twinkles with thousands of stars. Kayaking at night on the Wild Atlantic Way is special enough in itself, but Atlantic Sea Kayaking likes to do things a little differently. Embark on their Starlight Moonlight Tour in Lough Hyne, West Cork, and you’ll be treated to something truly exceptional – thousands and thousands of tiny lights coming from the water. After dark, this beautiful lake – the only inland salt water lake in Europe – becomes a starry waterworld thanks to the presence of bioluminescent plankton and the best way to see it is with a 2.5 hour tour with Atlantic Sea Kayaking. 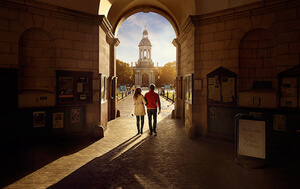 With its narrow cobbled alleys, huge castle overlooking the River Nore and streets that crackle with medieval intrigue – Kilkenny is tailor-made for ghostly wanderings. Meeting up nightly in Lanigans pub in the centre of the city, the Kilkenny Ghost Tour regales visitors with tales of paranormal intrigue, witch trials and mystical medieval goings-on. Hear the stories of the notorious Dame Alice Kyteler, visit the ghostly Kilkenny prison to Black Abbey and its open stone tombs, and see the spot where 16 souls fell into the river when the bridge collapsed in 1963. Fed up with walking? Don’t fancy zipping around on a Segway? No panic – Belfast has a unique, comfortable and utterly unforgettable way of getting to know the city – a Black Taxi Tour. Friendly, fun and informative local drivers who know the city inside out will guide you around some of Belfast’s most interesting sights, all from the comfort of a traditional black taxi. 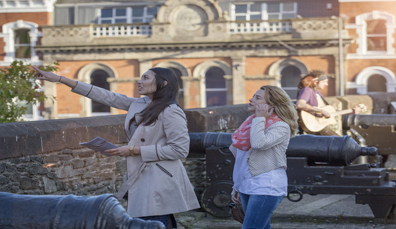 It’s a great way to get the inside track on Belfast’s fascinating history, culture and customs. 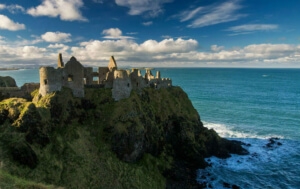 You can even take a black taxi tour all the way out to the Giant’s Causeway or around some key Game of Thrones® locations. Deep in the heart of County Kerry, the Killarney National Park is one of the most majestic parts of the island, with soaring mountains, tranquil waters and indigo-coloured lakes. Walking or cycling around here is a real delight, but one of the most enjoyable ways to discover this landscape is to take a tour in a traditional jaunting car - a light two-wheeled horse-driven carriage. 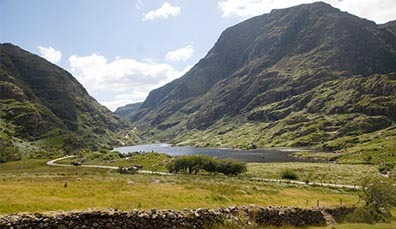 With a soundtrack of hooves clip clopping along and a cheerful guide leading the way, the tour covers the park’s most scenic spots including the 15th century Ross Castle and the moodily beautiful Lough Leane – all you have to do is sit back, relax and enjoy a uniquely Irish mode of travel. 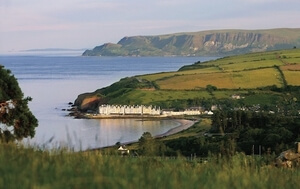 Wild picturesque landscapes, expert guides and a chance to forage in beautiful gardens, along hedgerows and bog habitats – Slow Adventure Northern Ireland brings you up close to Northern Ireland’s food culture in a captivating and creative way. Led by William McElhinney, seaweed expert, and Annie Mullan, an ecologist, farmer and gardener, the tour weaves around the landscpe of the Butterlope family farm in the stunning Sperrin Mountains. You’ll pick ingredients for lunch, watch a cooking demonstration stove-side in the farm’s “byre” room and visit the historic coastal location of Culmore Point. It’s a day to remember. 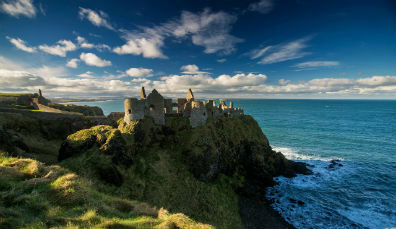 These road trips will bring you down winding country roads and cliff-side routes to reveal some of Ireland’s best-hidden secrets. 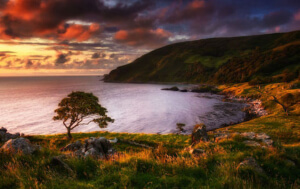 So you want to explore the island of Ireland? We've got you covered! 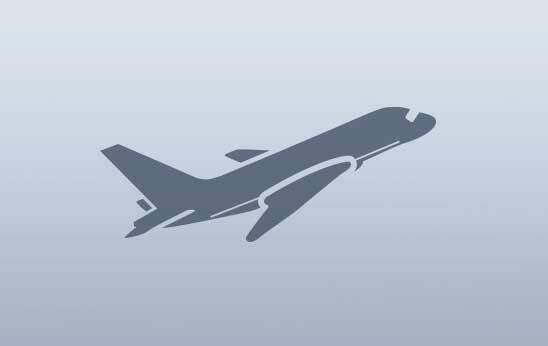 Here's a selection of trip ideas to choose from. From the buzzing streets of Dublin to the walled wonders of Derry~Londonderry, Ireland's cities are brimming with character.